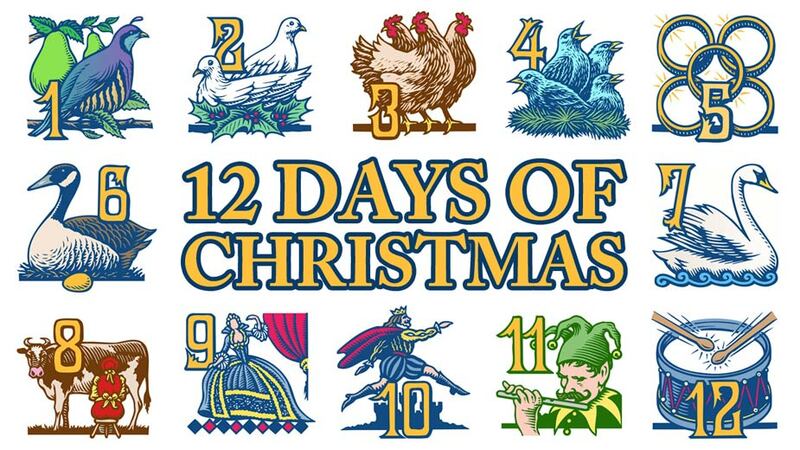 YOUNGSTOWN, Ohio – For the person who wants to go all out for “my true love,” to wit, all the gifts sung about in “The 12 Days of Christmas,” the good news is that the total price has barely budged since last year, only 0.7% says PNC Financial Services Group. PNC, based in Pittsburgh, today released its 33rd annual CPI — that’s Christmas Price Index, not to be confused with the Consumer Price Index tracked by the U.S. Bureau of Labor Statistics. The Christmas Price Index puts the cost of buying the gamut, from the partridge in a pear tree to 12 drummers drumming, at $34,363.49, just $232.50 more than last year. A year ago, the total price of those gifts was 0.6% higher than 2014. So the last two years reflect low inflation and an environment of price stability. This year, those who shop for those items online, would pay $44,602, however, $10,239 more than if they went to a bricks-and-mortar outlet, says Karen Segesto-Hauser, vice president and senior adviser in the wealth management department in the Youngstown regional headquarters of PNC Bank. “Convenience comes at a cost,” she said, and the cost of transportation has risen higher than the Consumer Price Index. Diesel fuel remains well above the cost of a gallon of regular unleaded gasoline, she noted. The 11 pipers piping and 12 drummers drumming represent employment in the PNC CPI, Segesto-Hauser said, and “Wage inflation will make some entertainment options more costly this year.“ Both rose 2.8%, the pipers to $2,708 from $2,635 and the drummers to $2,934. Neither had risen since 2013. “For bargain entertainment,” Segesto-Hauser noted, “the prices of nine ladies dancing and 10 lords a leaping held steady at $7,552 and $5,508 respectively. “The real bargain this year,” Segesto-Hauser said, “is the partridge, which fell 20% to $20,” offset by the higher price of a pear tree. So the bird in the tree fell to $210, only 2.3% lower than a year ago. The PNC CPI was begun by Philadelphia National Bank in 1984 before it merged with Pittsburgh National Bank to form PNC Financial Services Group. A PNC employee in Philadelphia visits shops and websites to obtain the prices and compile the index, a PNC spokesman says. The only modification is excluding the seven swans-a-swimming, “typically the most volatile item in the index,” the spokesman explained. This year their price remained unchanged from a year ago, $13,125, if one went to a hatchery or farm. Online, however, their price rose 5.3%, to $15,125 from $13,367 in 2015.